In 2015, I led thousands of my listeners through a week of experiments designed to help them reassess their technology habits, unplug for part of each week and jump-start their creativity. Throughout the book are a series of challenges that will help readers rethink their relationship to their devices without completely leaving the digital world. The book also explores why putting greater emphasis on “doing nothing” is vital in an age of constant notifications and digital distractions. We speak with neuroscientists and cognitive psychologists about “mind wandering”—what our brains do when we're doing nothing at all, and the link between boredom and creativity. 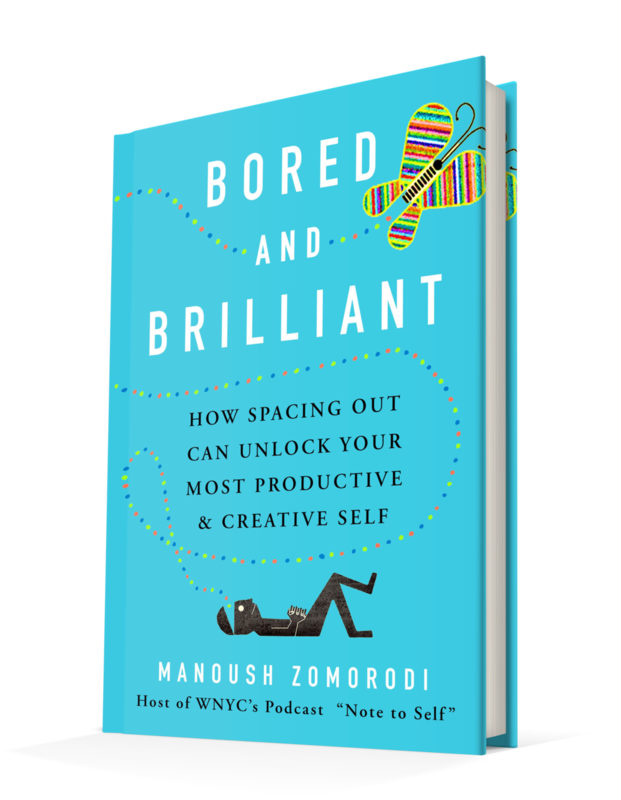 Bored and Brilliant is about living smarter and better within a digital world. Technology isn’t going anywhere, and who would want it to? It teaches us how to align our gadget use with what we hold dear and true, and find equilibrium in this new digital ecosystem.